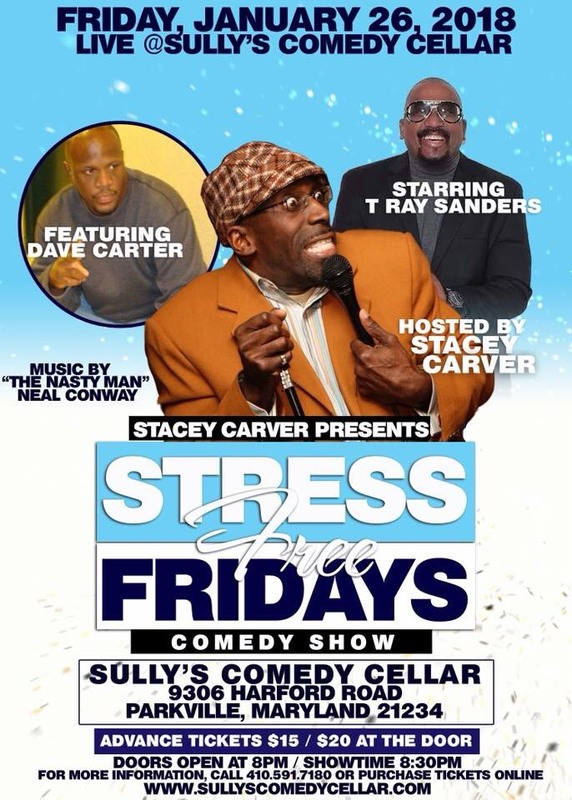 The one and only and host of the show, Stacey Carver, brings the laughs with his Stress Free Fridays at Sully's Comedy Cellar! The show stars the very funny T Ray Sanders, and features Dave Carter with "The Nasty Man" Neal Conway providing the jams. There's nothing better than unwinding with some drinks and laugh after a stressful week of work! So get your tickets now and save $$$ because they're more at the door.